With miles of vanilla sand beaches, wooded cycle trails, lakes and natural estuaries, Cape Cod in the US, is made for outdoor play. The sky was tinged with rose gold as I arrived on this Massachusetts peninsula, just in time for the most gorgeous sunset over the Nantucket Sound. 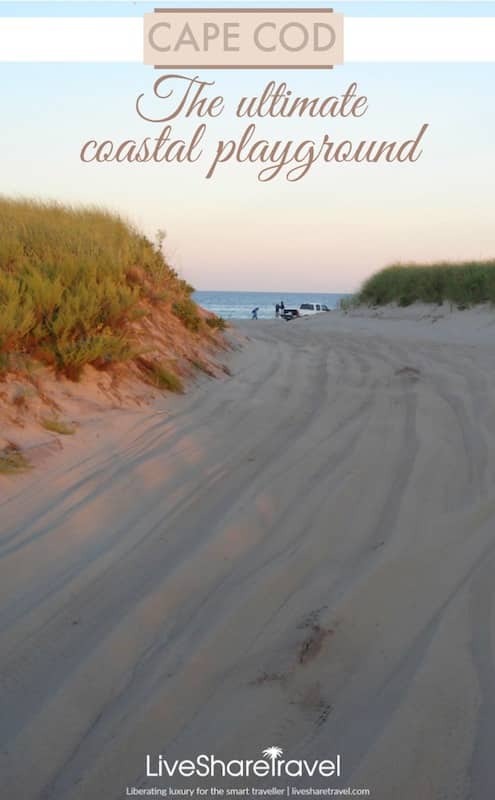 I had just parked up at Red Jacket Beach Resort in South Yarmouth, and the dense clouds of a grey day were obligingly dispersing like puffs of smoke, absorbing the deep lilac, copper and peach colours of the setting sun. 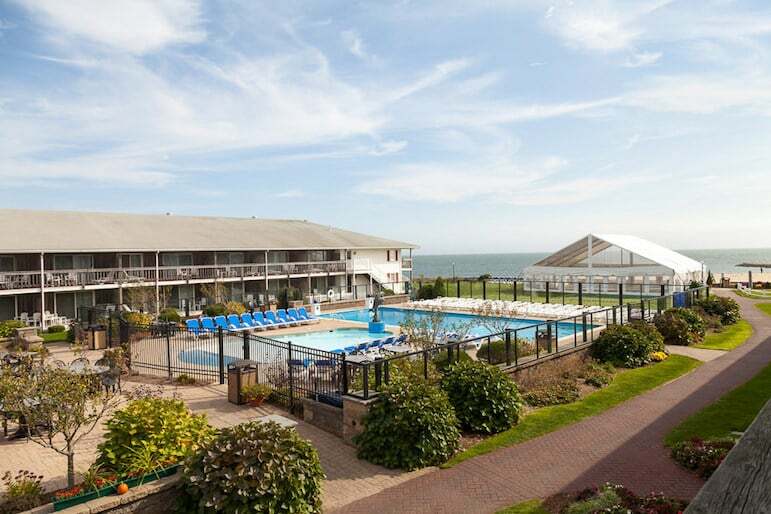 The resort’s sheltered sweep of private beach, gilded by the soft light, has a craggy breakwater separating the oceanfront from the salt marshes. Fellow guests perched or stood on the rocks, gawping at the sky and watching egrets swoop for fish, with elegant and deadly precision. 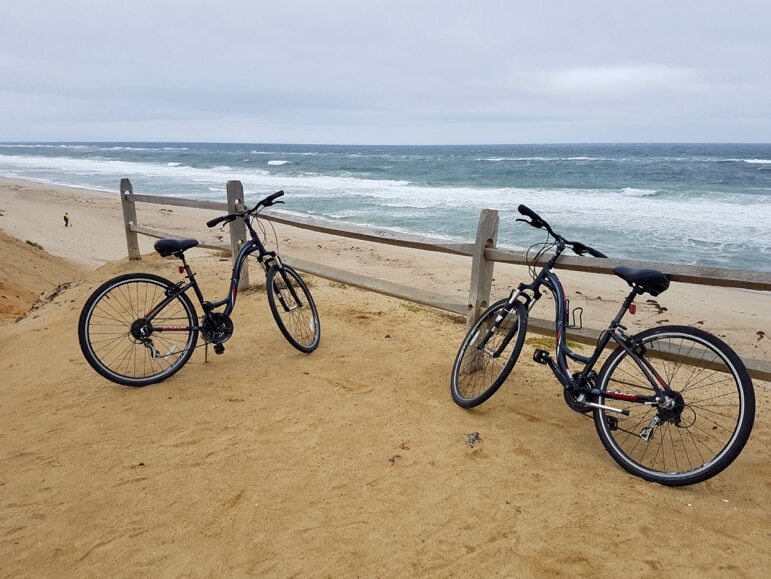 Cape Cod has long been a popular summertime destination for city dwellers in Boston and beyond, attracting people itching to kick off their shoes, breathe in the sea air, and just get outdoors and play. Curling like a flexed bicep around Cape Cod Bay, with the Atlantic Ocean to the east, it certainly packs a punch when it comes to natural beauty. Its slender build means you’re never far from the sand (there are more than 130 beaches and 559.6 miles of unspoilt coastline). Footpaths and cycle trails weave through fragrant pine forest, past lakes, kettle ponds and wild cranberry bogs. 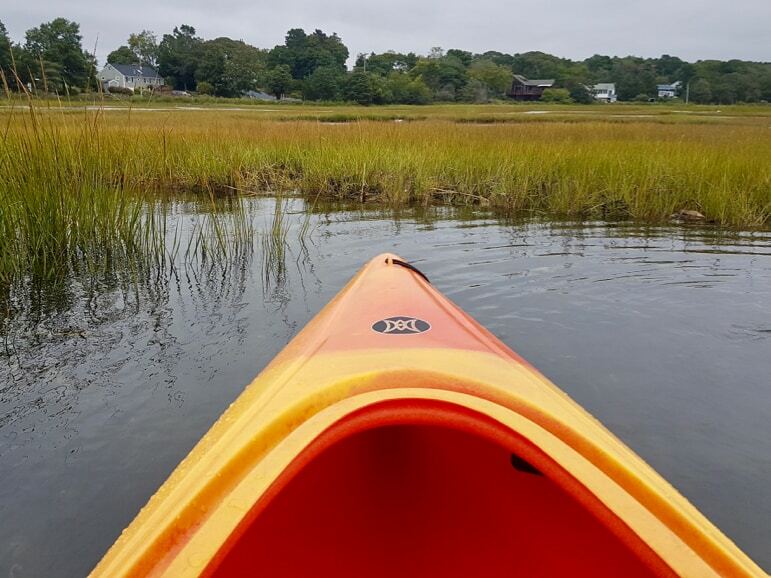 Cape Cod’s rivers and natural estuaries are best admired close-up, so I hired a kayak from Bass River Kayaks and paddled into the marshes. The Bass River is the largest all-salt river on the eastern seaboard, dividing the towns of Yarmouth and Dennis before opening up to the Nantucket Sound. 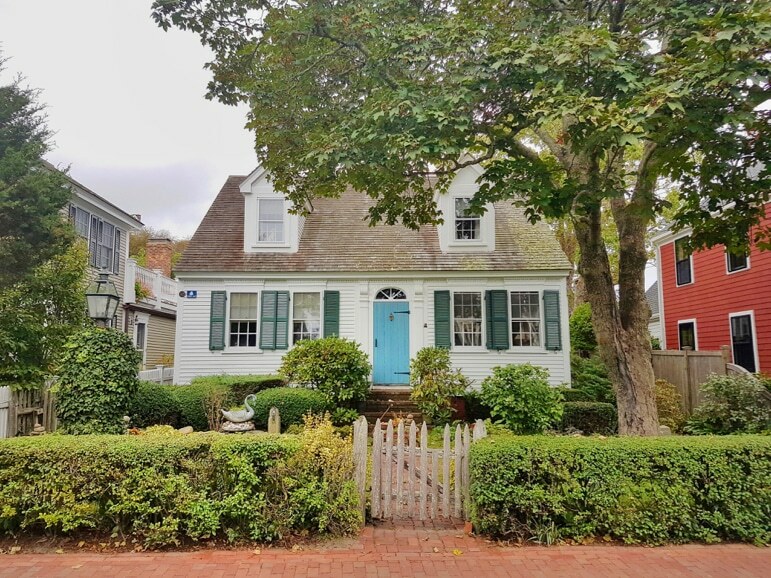 Former homes of seafaring captains, dating back to the 18th century, overlook the river, harking back to when this was the Cape’s busiest seaport. This span of water has a history stretching back much further, though. Legend has it that Viking Leif Ericson and his team of explorers discovered the Bass River in 1003. Much later, in the 1800s, so-called ‘moon-cussers’ lured ships to the mouth of the river using misplaced beacons, before plundering the contents. Now it’s a rather more peaceful spot. I passed a small tour boat, another pair of kayakers and a lone swan – apparently friendly, although I didn’t stick around to put this to the test when it made a beeline for my tangerine kayak, looking a bit flappy. I paddled towards the mass of seagrass, nicknamed ‘Marsh Island’ by locals, cut through with narrow channels and teeming with bird life. A great blue heron perched statuesquely on a branch, staring stonily into the water to target its next catch. Bald eagles and ospreys are regularly spotted by the shoreline. 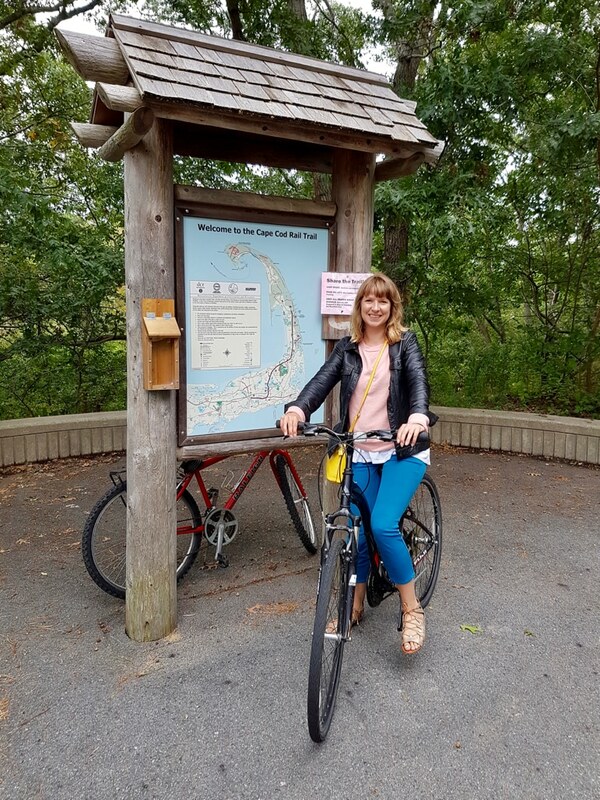 Back on dry land, the Cape Cod Rail Trail follows 22 miles of a former railway right of way, part of the route that linked Boston to Provincetown, at the outermost fingertips of the peninsula. I hired a bike from Idle Times in the tiny town of Orleans, about halfway up the route, to join the trail just across the road. The wide path is soft under wheel with pine needles, with an unpaved shoulder running parallel for runners, walkers and horseback riders. I whizzed past Herring, Great and Minister Ponds. These kettle ponds were formed 15,000 years ago when blocks of glacier ice melted, leaving huge holes or ‘kettles’ that filled with fresh water. They are lovely for swimming in the summer, though locals will rarely tell you that – they prefer to keep these secluded spots to themselves. The path continues through pine and fir tree forests, giving way to marshes and the soft blush of wild cranberry bogs. At Wellfleet Trailhead, where the route ends, I curved right to follow a quiet road to LeCount Hollow beach, part of the National Seashore. Dunes roll steeply to a vast expanse of sand, the colour of Rich Tea biscuits. After a round-trip of nearly 20 miles, I stayed in Orleans for dinner at The Lobster Claw. In case there was any doubt that this quirky family-run place was a seafood restaurant, nets draped from the ceiling and a bar fashioned from a boat cleared that up. As did the vast menu, including fresh lobster, clambake, bluefish and haddock. En route to lively Provincetown, at the tip of the Outer Cape, I stopped at Truro Vineyards, perched between the Atlantic and Cape Cod Bay. 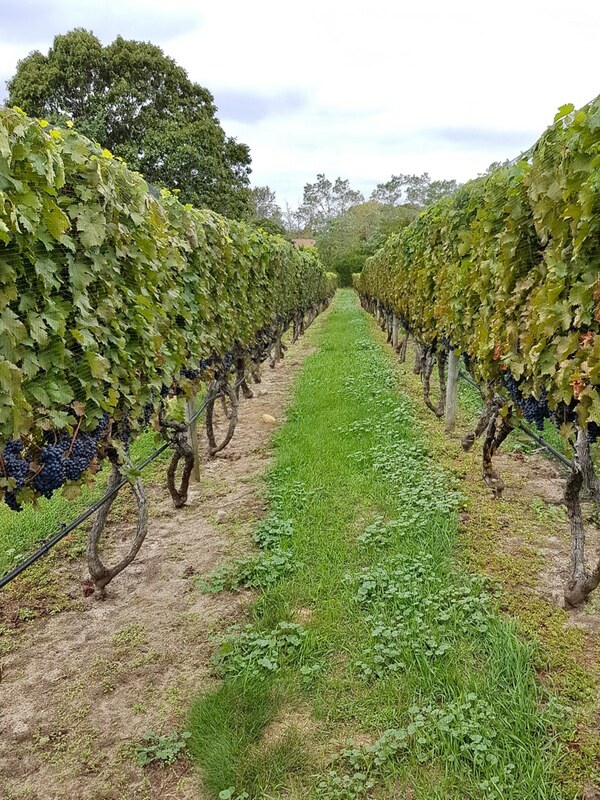 Located on a former dairy farm, with the land later used to grow cantaloupes, conditions weren’t considered ideal for grapes before the vineyard launched in 1992. 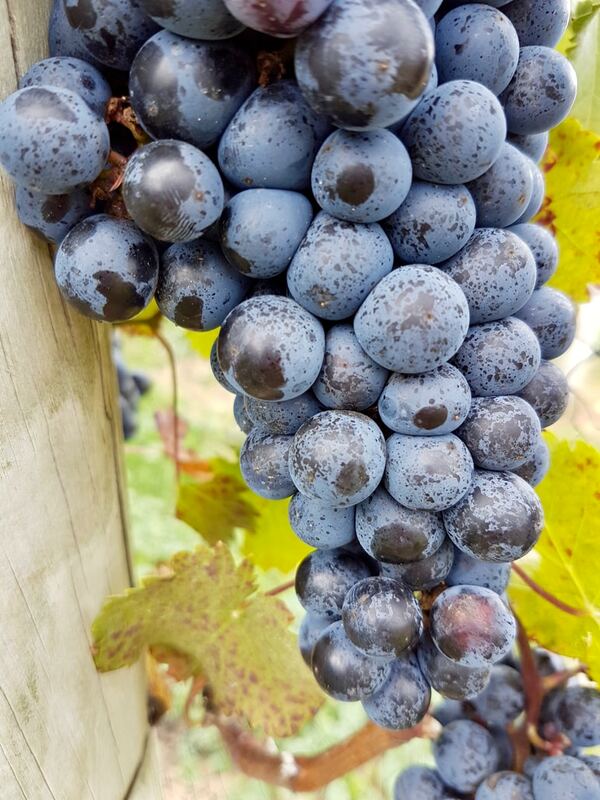 Now winemakers make the sandy soil and salty air work to create peppery zinfandels, toasty chardonnays and their earthy, signature cabernet franc. 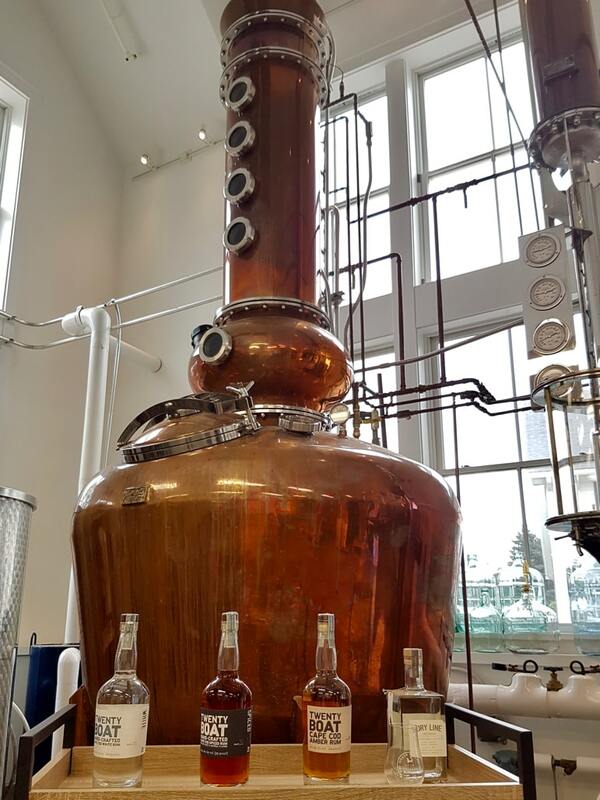 On-site distillery South Hollow Spirits runs tours where you can see vats of pure alcohol, ready to be infused for Dry Line Gin, made with local juniper berries, and raisiny Twenty Boat Rum, named for a 1930s bootlegger who evaded 20 federal boats after fleeing to Provincetown. You could easily spend an afternoon here, with wine tastings on the patio, an outdoor bar and a food truck, Crush Pad, serving kimchi-topped hotdogs and crispy fried cauliflower with a punchy topping of lemon, capers and parmesan. In Provincetown, or ‘P-Town’, the food was equally good. 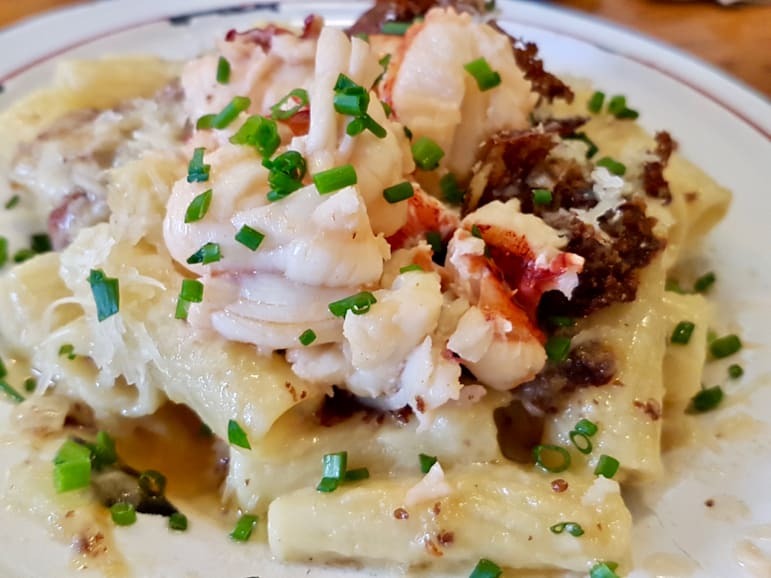 I feasted on lobster mac ‘n’ cheese and crispy brussels sprouts at The Canteen, and grazed on a charcuterie plate, croquettes and wild mushroom flatbread at cool yet cosy bar Strangers & Saints. Most bars and restaurants stretch along Commercial Street, which curls around the bay. The road quietens as you head west, reaching a residential area of cute, cottage-like houses, some of which have small blue plaques painted with floating buildings. These 30 homes once sat just across the harbour in Long Point, the extreme tip of Cape Cod. In the 1850s, residents there began to leave – for reasons still unknown – and many floated their homes across the water. More hidden history can be discovered on Art’s Dune Tours. 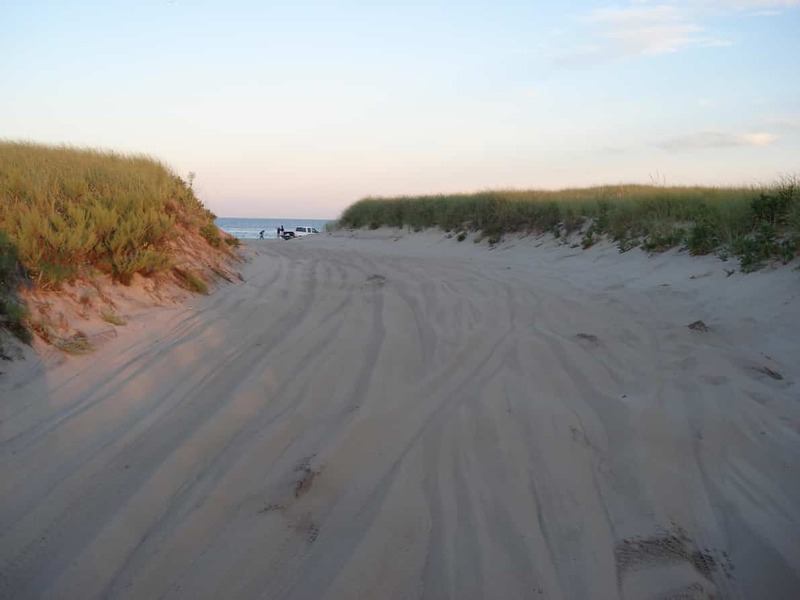 SUVs enter a seemingly endless expanse of wavy dunes, once carpeted in forest. When early settlers cut down trees for farmland, the topsoil eventually blew away, exposing the sand underneath and forming this eerily beautiful landscape. Only wisps of beach grass, scrub pines and more wild cranberry bogs interrupt the sea of vanilla sand. The dunes are also home to 19 shacks, most built in the 1930s, which became a bohemian hideaway attracting artists including Jackson Pollock, Norman Mailer and E.E. Cummings. The properties are now managed by the National Park Service, with a lottery held each year for a week’s stay. Tennessee Williams spent several summers here, writing A Streetcar Named Desire. According to tour guide Dave, while staying in Provincetown Marlon Brando made several trips over the dunes to visit the writer and legend has it, that’s how he eventually landed the lead role in the 1951 film. While the shacks, with no electricity or running water, were chosen for their isolation and lack of distractions, tales abound of the luminaries sharing whisky, challenging each other to arm-wrestling bouts and skinny-dipping in the ocean. It seems Cape Cod’s rugged natural beauty has always inspired a sense of play. With a sheltered curl of sandy private beach and many rooms overlooking the ocean, Red Jacket Beach Resort & Spa is an ideal base for exploring the Upper and Mid Cape areas (think of it as the bulging bicep, before it curls into the slender forearm). 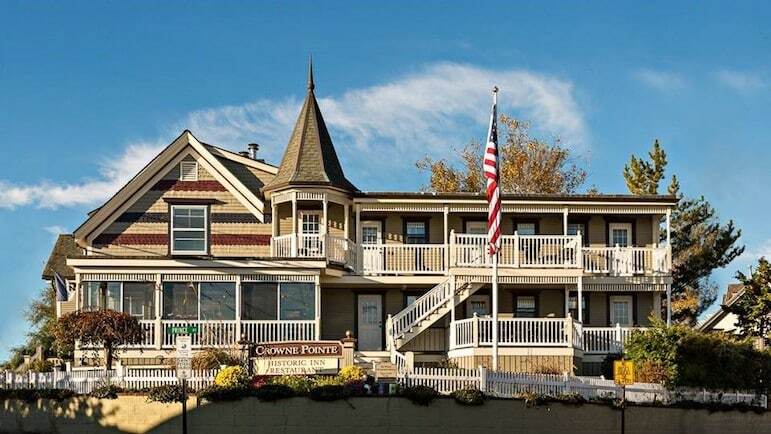 Rooms are cute and comfy, there are two pools, onsite water sports, and a spa – and watching the sun set over the salt marshes is a real treat. 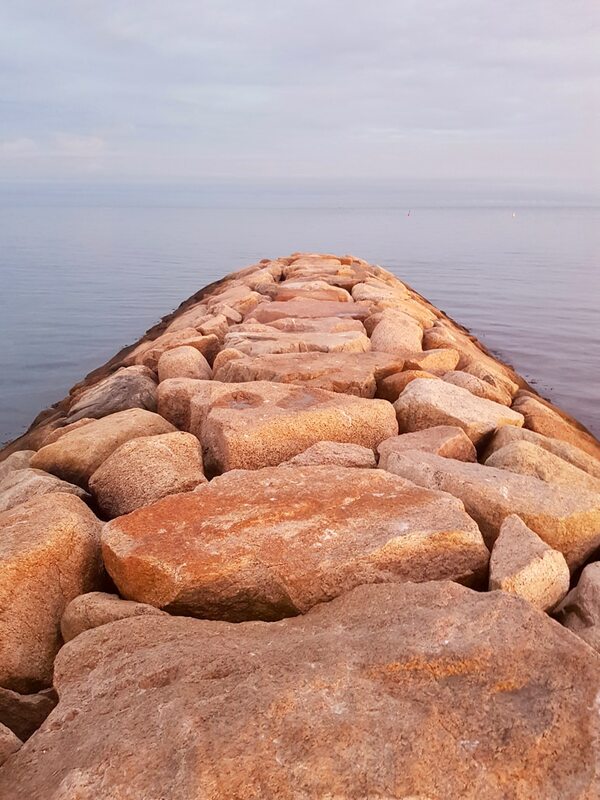 An easy walk to Provincetown’s beaches, shops, restaurants and nightlife, Crowne Pointe Historic Inn & Spa has the grandeur of a rural retreat – with no pretension. The outdoor pool comes complete with rubber ducks, plush two-storey suites overlook a courtyard dotted with potted plants, and there’s a wine and cheese hour in the lounge every evening. Oh, and receptionist Dave is a dead-ringer for Bradley Cooper. Discover more about the region and the state of Massachusetts. You can also read more about the New England coast and find out more about travel to the US on VisitTheUSA. Ella’s car, Harrison the Ford Fiesta, was provided by Hertz, which has more than 3,000 rental locations across the US. Photos taken on a Samsung s7, courtesy of Three. 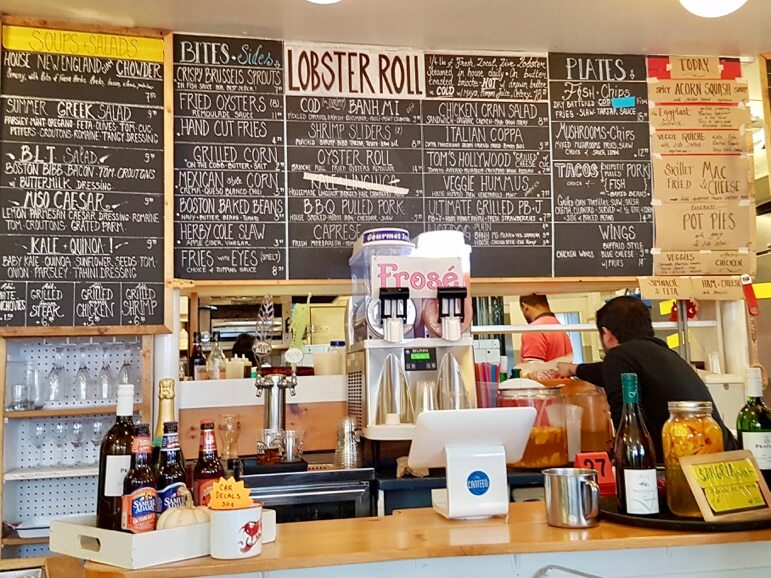 Cape Cod is one of those places shrouded in glamour – I always associate it with the Kennedys ;) Provincetown is such a culinary destination too – I need to get there! Isn’t it? Seems to hark back to a wonderful golden age. I remember my visit to New England this year and seeing these names from afar (we went to other destinations in Massachusetts) and thinking how lovely it would be to visit. It’s on my list now too.